Published Bestsellers: "An atmosphere is captured within this short book so well that you can keep it as a souvenir"
"An atmosphere is captured within this short book so well that you can keep it as a souvenir"
"The royal wedding of Will and Kate centred around romance and celebration; 'Pomp and Circumstances' introduces its own aspects of London life where similar situations occur on a level to which the reader can relate. Events throughout the story touch on the themes of romance, loss and celebration, however they are all brought together through a nationwide sense of joy. These events do, however, create a bigger picture from the events of the Royal Wedding day, and remind the reader that this was not the case for everyone in Britain. It takes us back to consider and remember where we were at the time of the wedding - who we were with and to what extent it was an important event to us. Different views of the wedding are demonstrated through Sue's characters, and without a doubt some will be more similar to the reader than others. There are patriots who enjoy the history of the wedding, those who enjoy the festivities, and those who are not interested at all - capturing a spectrum of society across London. 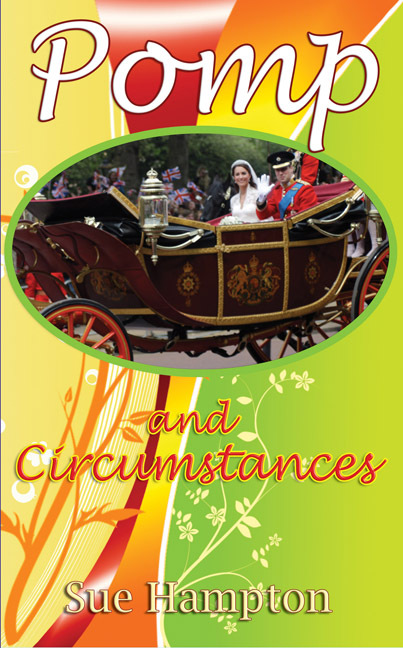 An atmosphere is captured within this short book so well that you can keep it as a souvenir, even if you didn't experience the royal wedding festivities yourself. Perhaps a sequel should be written following the events of the royal baby!"